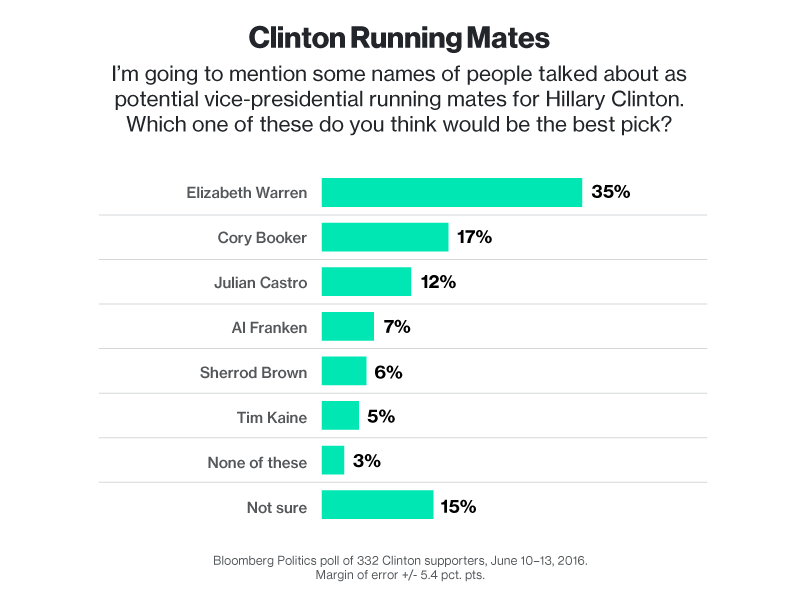 A recent Bloomberg Politics poll shows voters have clear favorites for who they think presumptive nominees Donald Trump and Hillary Clinton should pick as running mates. 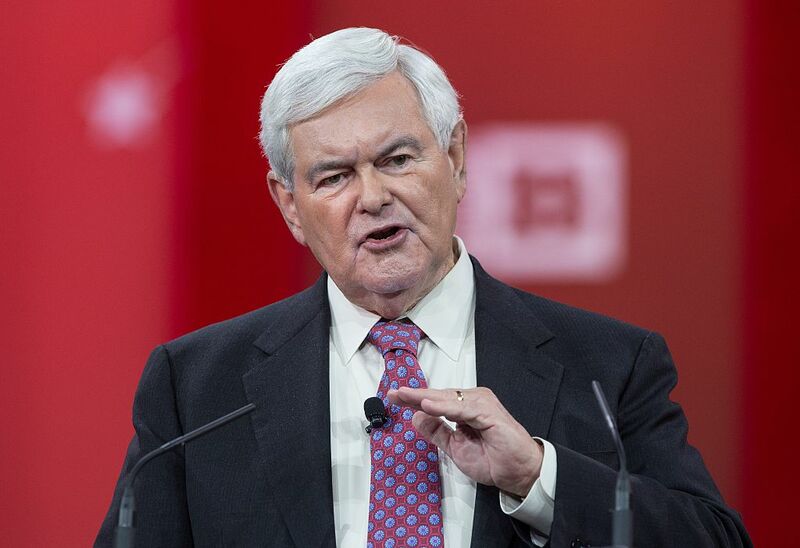 Of the 333 surveyed Republican voters, 29 percent picked former House Speaker Newt Gingrich as their preferred vice presidential candidate. 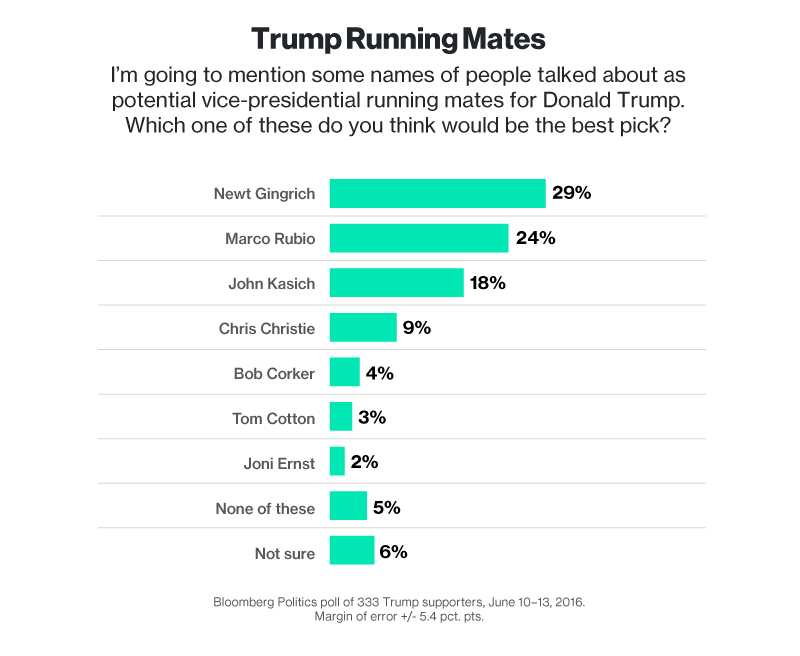 Florida Sen. Marco Rubio finished only 5 percent behind Gingrich — which the poll notes as falling within the margin of error (+/- 5.4 percent) — yet he has explicility stated he has no desire to be on a Trump ticket. The 332 surveyed Democrat voters have an even clearer favorite. 35 percent preferred Massachusetts Sen. Elizabeth Warren as their first choice, compared to only 17 percent for New Jersey Sen. Cory Booker. Currently, 71 percent of voters view Trump unfavorably compared to 55 percent for Clinton.